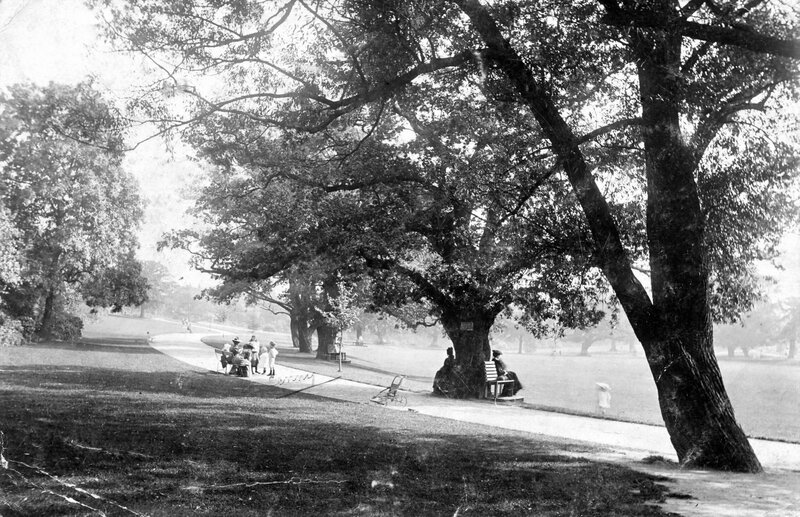 The opening of Mayow Park on 1 June 1878 was a big occasion; ten thousand people filled the park, and several hundred children marched through the area, accompanied by bands and a horse-drawn carriage. 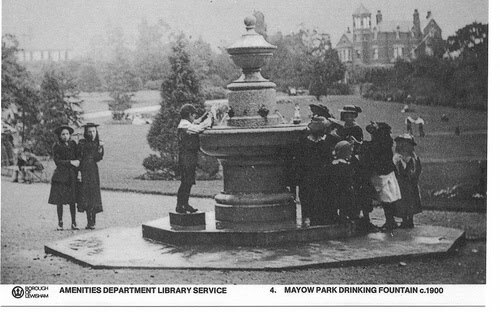 The original marble drinking fountain is inscribed with the following words: 'Erected by subscription in recognition of the services of the Rev W Taylor Jones MA in acquiring this ground for the public, 1 June 1878'. A public meeting at the Foresters' Hall, Clyde Vale (the building survives) on 24th February 1876 was a turning point. It was attended by "many well known ladies and gentlemen". The Earl of Dartmouth was in the chair. Sharing the platform with him was his younger brother, the Hon and Rev Augustus Legge. 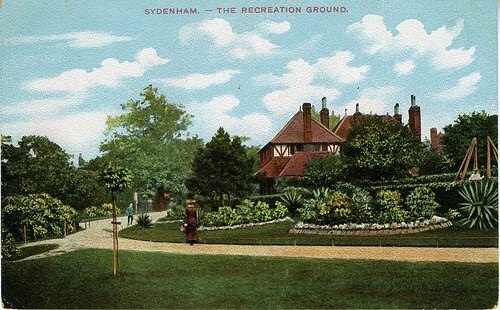 Their father, as Lewisham's major landowner, was a principal proponent and major beneficiary of the enclosure of Sydenham Common in 1819. At this meeting, Taylor Jones announced that Mayow Wynell Adams had offered 17½ acres of land for £8,500 (about half its market value). 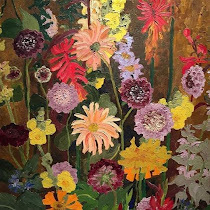 The meeting unanimously accepted the site offered by Mayow Adams and accepted a motion, proposed by George Grove, to open a subscription list of those willing to donate. In a book published in 1878, Mayow Wynell Adams wrote, "It had often occurred to me how pleasant a thing it would be if I could devote a portion of land for the amusement and recreation of the public, but … it was not in my power to give it." In 1874, Mayow Wynell Adams inherited the Old House, on the site of the present Earlsthorpe Road. After a legal dispute with his trustees, he was able to offer the site of the present park. 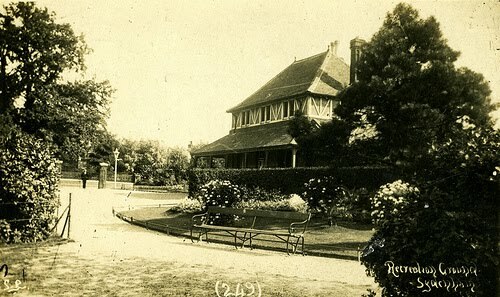 The Mayow Adams family owned a considerable amount of property in Sydenham from the late eighteenth century to the late nineteenth century. The Old House on Sydenham Road, was on the site of Brookhouse Farm, and was owned by the Hodsdon family until purchased by Mayow in 1787. From then on, the Mayows acquired most of the land between Sydenham Road and Perry Vale. They also held land in Devon and Surrey, the latter being the Nunscombe estate.